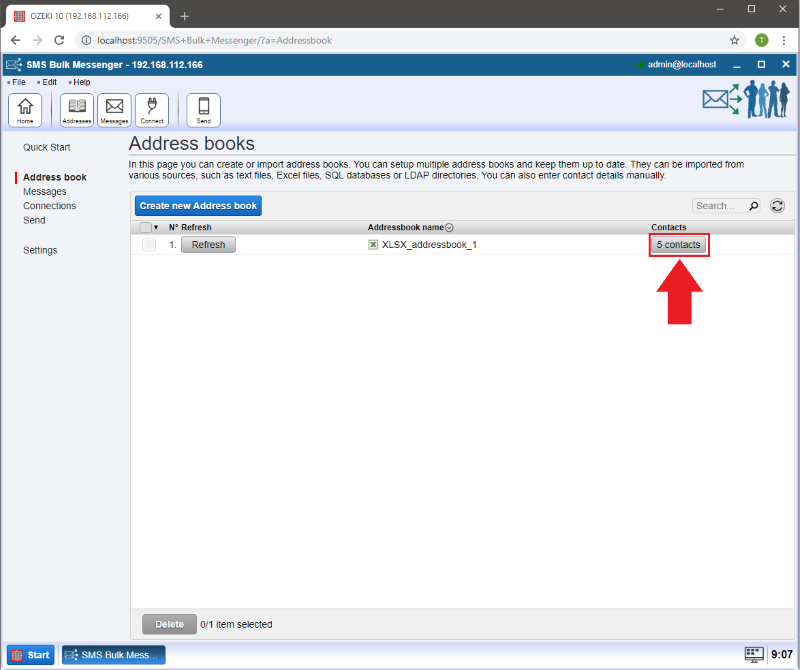 Ozeki Bulk Messenger offers the possibility of importing Excel contact lists so you will not waste time by adding them individually. 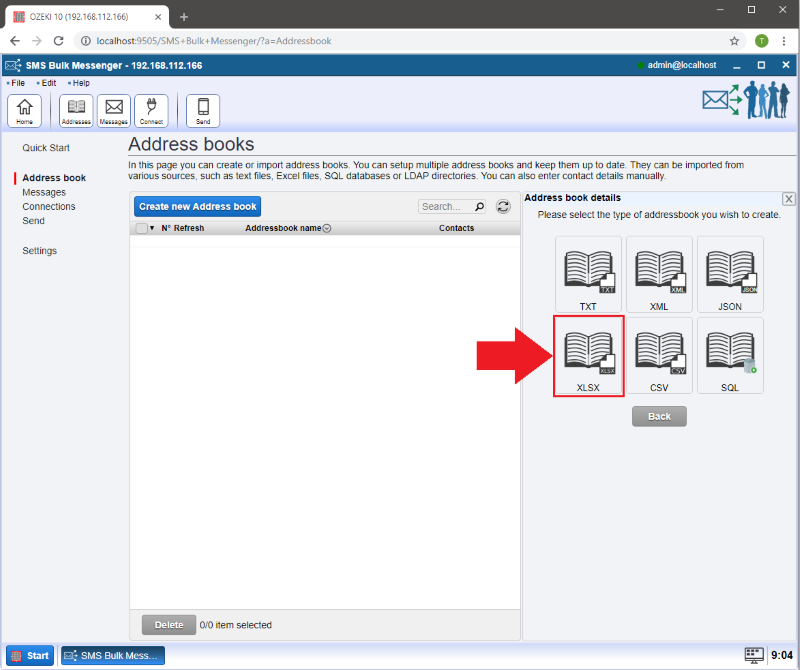 In this tutorial we will demonstrate you how to create an Excel document and open the XLSX file in Ozeki Bulk Messenger. 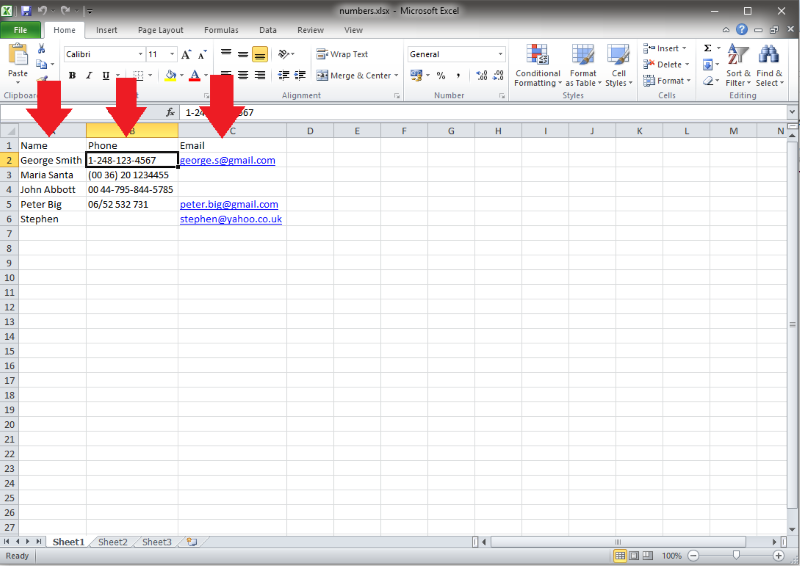 As a first step please open a new workbook in Microsoft Excel and write 'Name', 'Phone' and Email in the first row, as shown in Figure 1. Then you can start adding names, numbers and E-mail addresses from the second row and downwards. 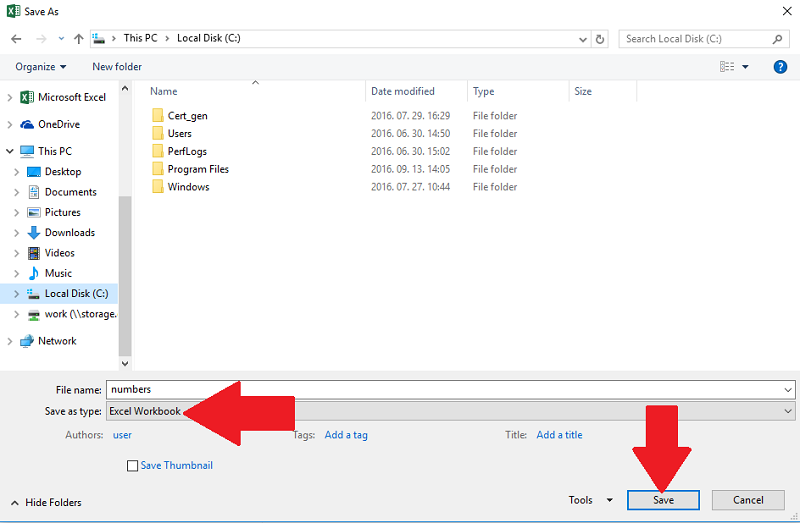 Select the 'Excel Workbook' when saving your document using the 'Save as type' option. 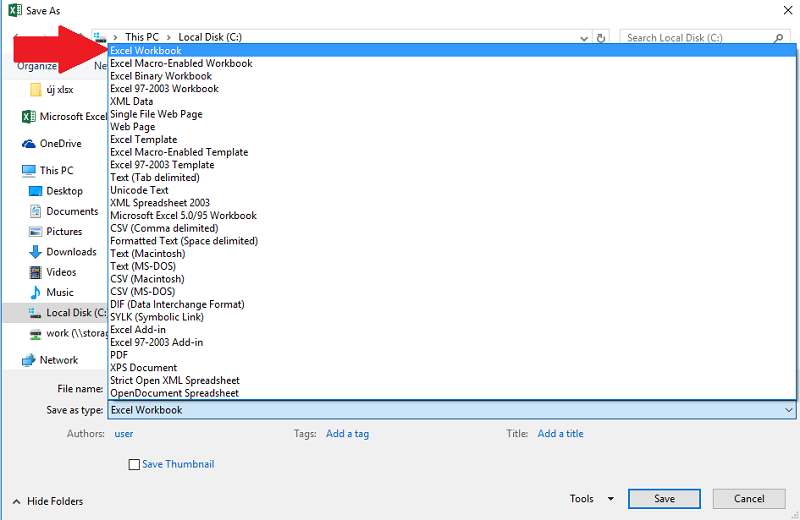 !Before clicking 'Save' make sure you have selected the 'Excel Workbook' document type. Now let us return to the Ozeki Bulk Messenger software. 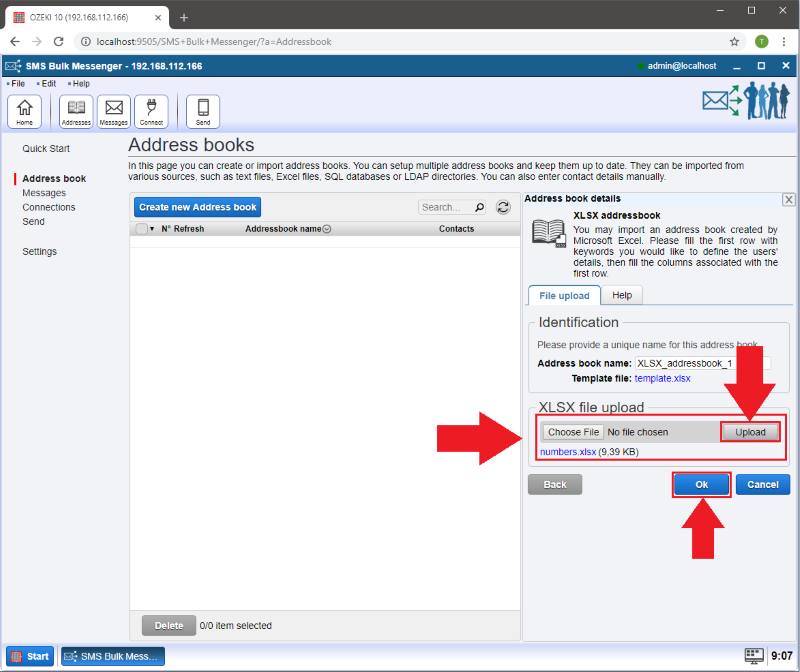 Select the 'Make an address book' option on the 'Quick Start' tab. 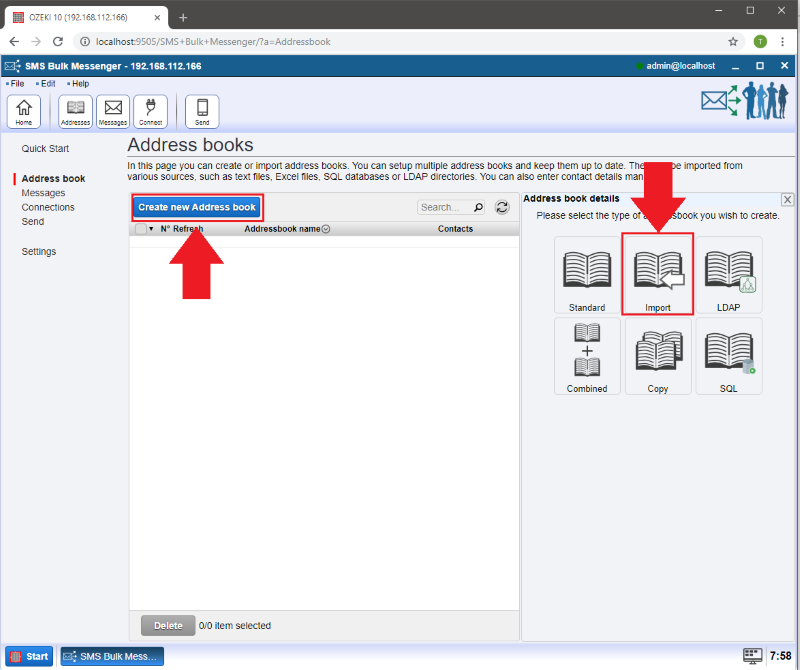 Now click on the blue 'Create new Address book' button and select the 'Import' address book. Then please open the 'XLSX' one. The File upload window will show up. By clicking on 'Choose file' you can select your Excel file. After having your file selected click on the 'Upload' button and finally press 'Ok'. Your contacts have been imported and ready to use. Click on the 'Contacts' button to manage your contacts. 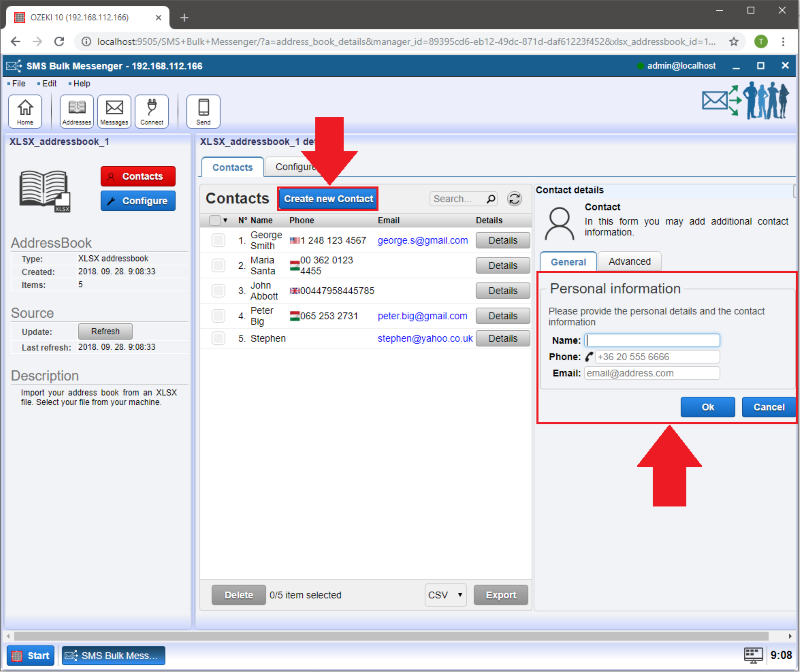 Here you can manage your imported contacts. 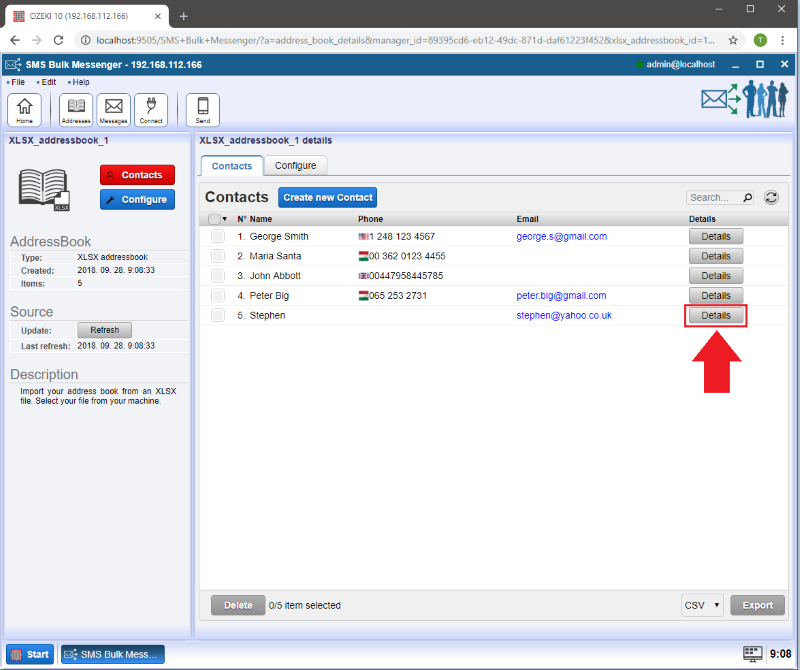 You can modify the existing contacts by clicking on their 'Details' button. It is possible to add further information to your contacts like Skype, Facebook, Twitter etc. 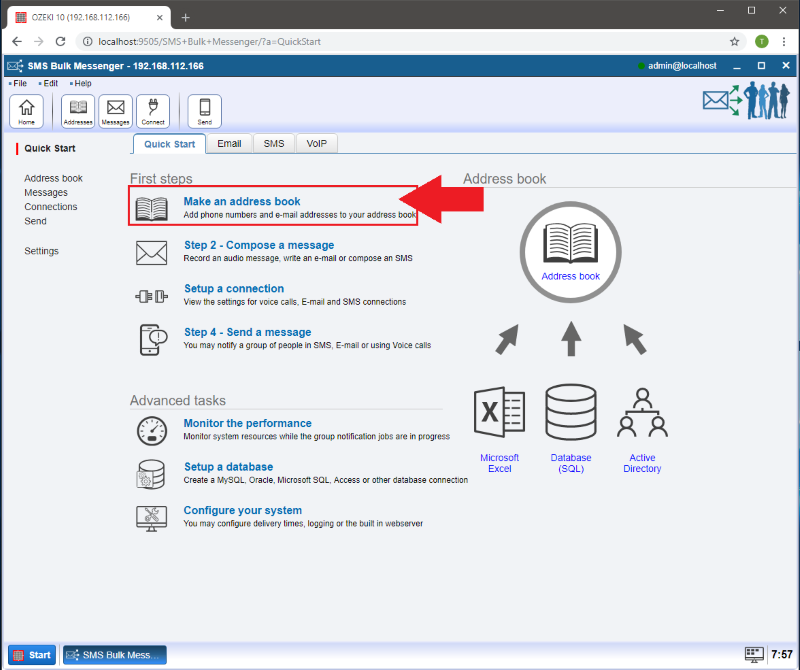 On the next page click on 'Add contact information'. In the 'Contact detail details' window you can choose the type of information you would like to add to the contact. 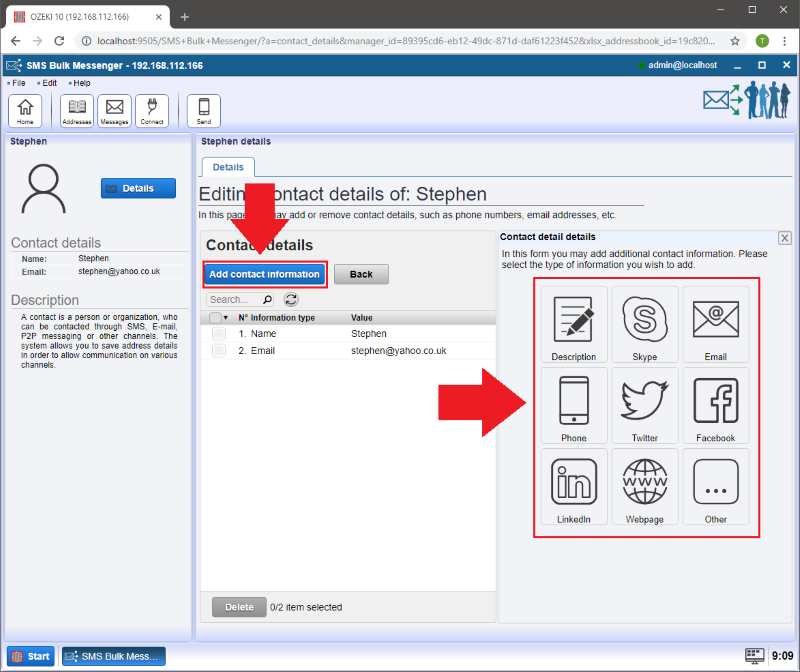 In case you would like to add new contacts manually click on the 'Create new Contact' button. 'Name:' Here goes the name of your contact. 'Phone:' Enter the phone number here. 'Email:' Provide the E-mail address.